Jarle Bernhoft, a singer and songwriter from Nittedal just north of Oslo, is having a great year so far after winning yet another major prize at the annual by:Larm music festival over the weekend. 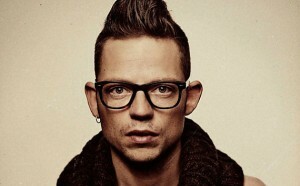 Bernhoft was named Årets Spelleman (Artist of the Year) and best male artist of the year last month. Now he’s won the annual Statoil stipend, good for NOK 1 million (USD 166,000). The stipend is presented to Norwegian musicians believed to have international potential, and the money is to be used towards gaining international exposure. Bernhoft, who started playing with the rock band Span but went solo in 2008, already is planning an album launch in France and is due to perform in Denmark and Germany later this spring. Ten performers were nominated for the prize including Jonas Alaska, Mayhem and Sondre Lerche, who already has gained some fame outside Norway. It was the fifth year Statoil has awarded the prize, with earlier winners including Ingrid Olava, Ida Maria, Mahthias Eick and Kvelertak.